Mr Richard Karoo is a leading cosmetic surgeon based in Cardiff. We produced his first website five years ago and he recently approached us about a website revamp. 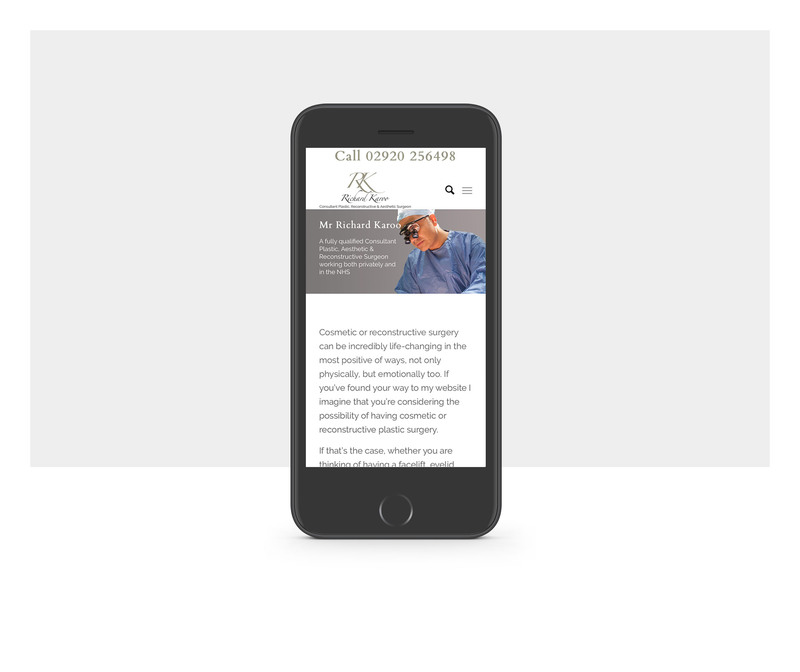 He wanted a fresh, modern look to showcase his private practice, but for us to incorporate all the content from his previous site and retain his rankings on search engines.